The Dukawa of Nigeria are located in the Yauri division of the Sokoto Province and also in the Yelwa division of the Kontagora Province. They are closely related to the Kamberri, speaking a similar language, and are sometimes grouped under the large Hausa-Fulani cluster of people. 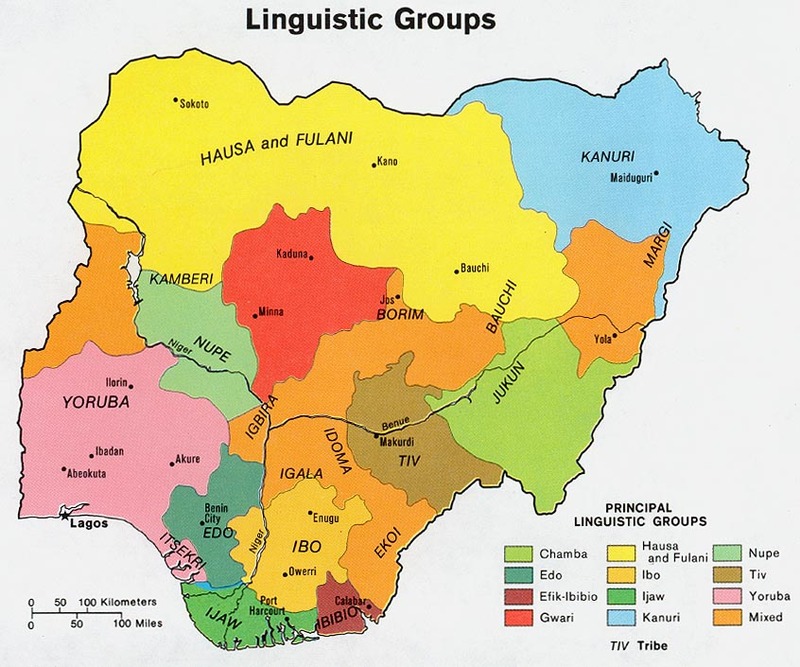 The Dukawa language is part of the Benue-Congo branch of the Niger-Congo language family. The Dukawa are referred to as a fine race. The men average just under six feet in height and the women have strong healthy physiques from carrying heavy loads on their shoulders. They are intelligent people with a good knowledge of medicine. In 1968, many Dukawa were forced off their homeland and resettled due to the completion of the Kainju Dam Project. These new, larger settlements provide government schools, jobs, and hospitals for the Dukawa, whose culture is becoming increasingly more modernized. Dukawa homeland is hilly, rocky country where rivers provide much fish and islands serve as fertile land for their crops. They make their living as fishermen and farmers, mainly raising millet and guinea corn in the highlands and onions along the rivers. Other crops include maize, peanuts, sweet potatoes, and beans. The Dukawa grow their own tobacco, and many of them enjoy smoking. Town dwellers also have large farms in the bush where they live for part of the year. Many defensive towns still remain in the Dukawa region; surrounded by strong, high walls with holes in them for guns and arrows. Deep moats surround the walls, outside which is another trench with low walls and prickly thorns. Some Dukawa live in small rural villages outside these towns. Their homes are small huts with walls only four feet high and containing mud beds, beneath which a fire burns. The Dukawa have a history of being great fighters; bows and poisoned arrows were their principal weapons. Successful hunters and warriors wore black shirts and bracelets made of the skins their victims. Hunting continues to be an important cultural aspect of Dukawa life. Arrows are sometimes fired out of guns, especially when hunting elephants. The traditional dress for women was bundles of leaves tied around their waists. Brass rings are still worn in most women's lips, and ear ornaments are made of red stone or red silk. Unlike most tribes in Nigeria, circumcision is not a common practice among Dukawa. Instead, a boy's journey into manhood begins when he is able to wrestle. At that time, his father will give him a cloth and some land to farm for the next seven years, until he is ready to marry. Girls and boys have an opportunity to meet at the wrestling matches, and a girl is given flour to sprinkle over the head of the boy she chooses. All of these Dukawa cultural traits still exist. However, in recent years, increasing numbers of Dukawa have begun assimilating into a more modern, commercialized society. Due to contact with Muslim traders, a number of the Dukawa are Muslim. However, the majority of the Dukawa practice ethnic religions. They believe that at death they will join their dead ancestors. They believe in and claim to often see ghosts walking about at night. The ghosts are said to have fire coming forth from their armpits and are known to beat people to death. Most Dukawa believe in witchcraft and many gods. They are also animists (believe that non-living objects have spirits), and they worship and sacrifice to various inanimate objects. Medicines and oaths also play a role in Dukawa beliefs. The majority have not had an opportunity to hear the Gospel. Intercession is needed to open the hearts of the Dukawa to Christ. * Scripture Prayers for the Dukawa in Nigeria. * Ask the Lord of the harvest to send forth laborers into Nigeria to the Dukawa. * Ask the Holy Spirit to grant wisdom and favor to missions agencies focusing on the Dukawa. * Pray that God will give Dukawa believers boldness to share Christ with their own people. * Ask the Lord to bring forth a strong and growing Dukawa church for the glory of His name!